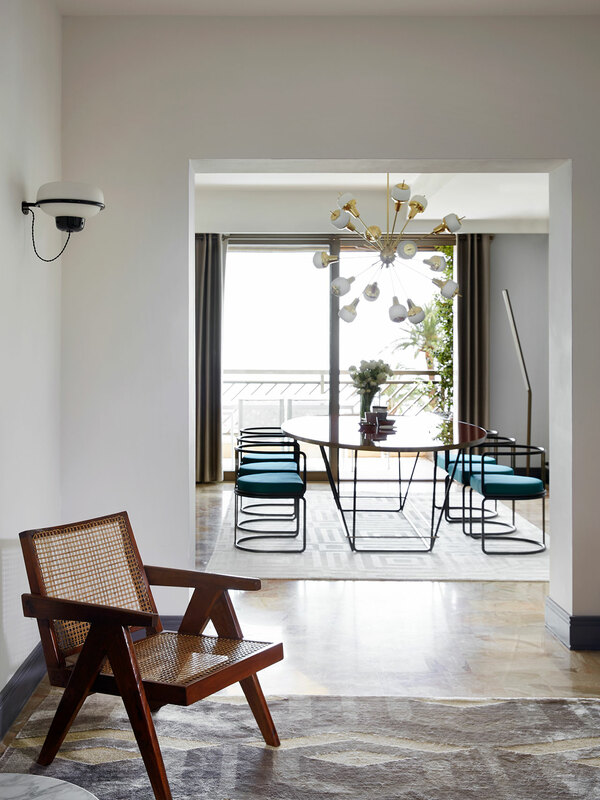 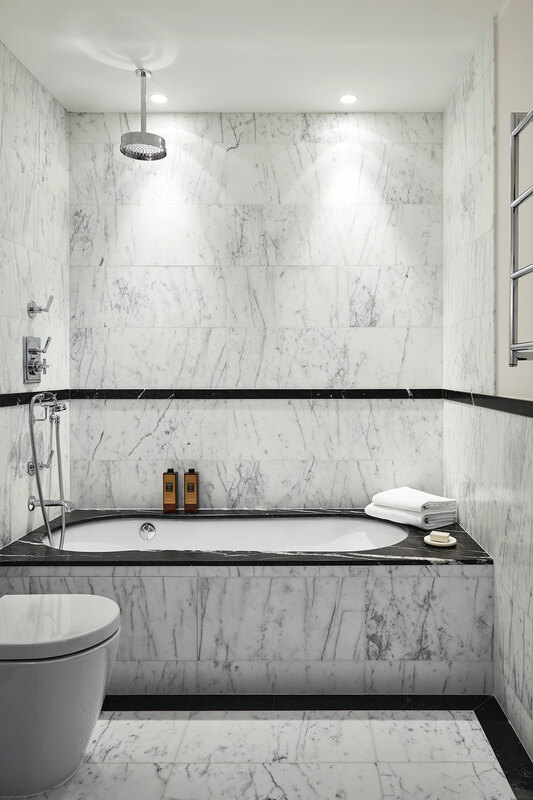 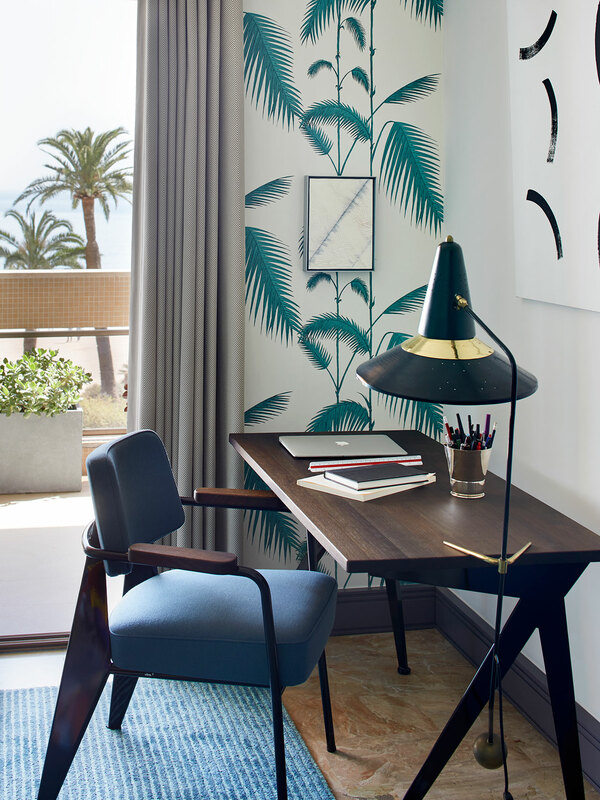 The prolific, young interior design duo of Emil Humbert and Christophe Poyet, have created Grace, an elegant, single apartment on the desirable Larvotto seafront of the principality of Monaco, which marries the glamour, sophistication and desirability that is so synonymous with its storied location. 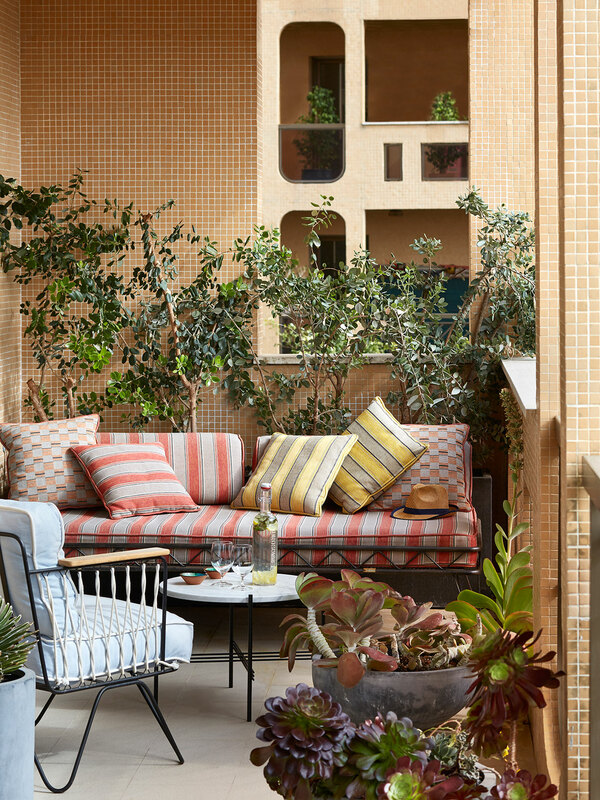 Combining two apartments in a 1970's building - complete with an era-appropriate, ceramic mosaic façade - afforded the designers the unique opportunity to work in a 380 square meter space - a size which is highly unusual in the area - with a 100 square meter balcony overlooking one of the most stunning views in the world. 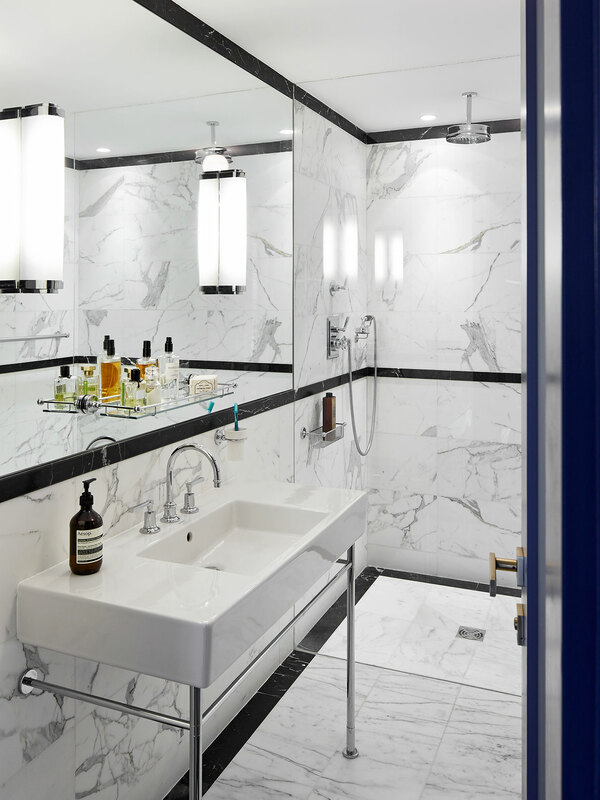 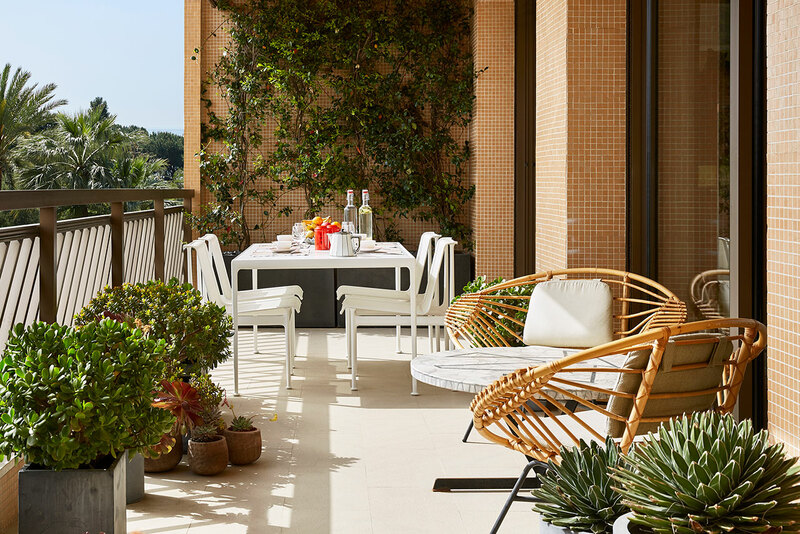 The designers first agreed that the project would reflect their "vision of the Riviera lifestyle," with the objective that the final project be "timeless while exuding discreet luxury." 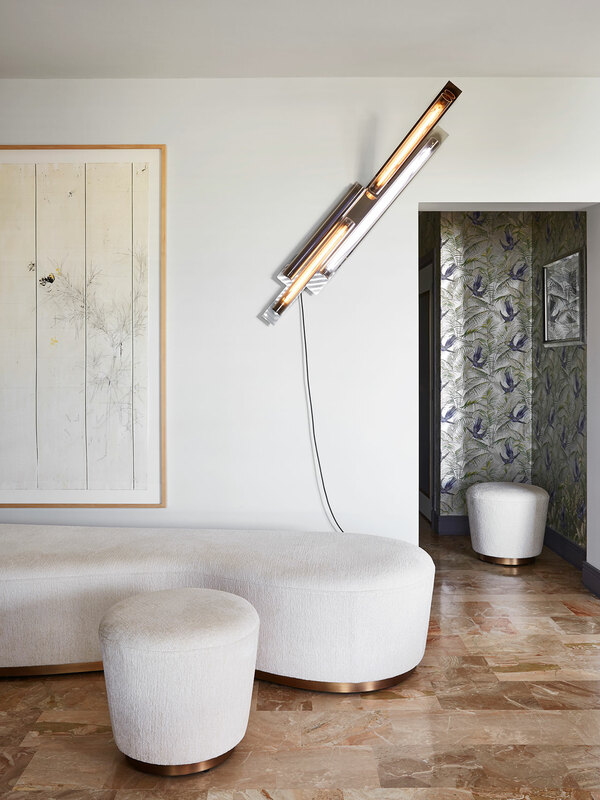 With this in mind, Humbert & Poyet went about playfully juxtaposing incredible examples of design furniture from France and Italy with contemporary and bespoke items, hitting their desired mark of "measured sobriety," as they describe it. 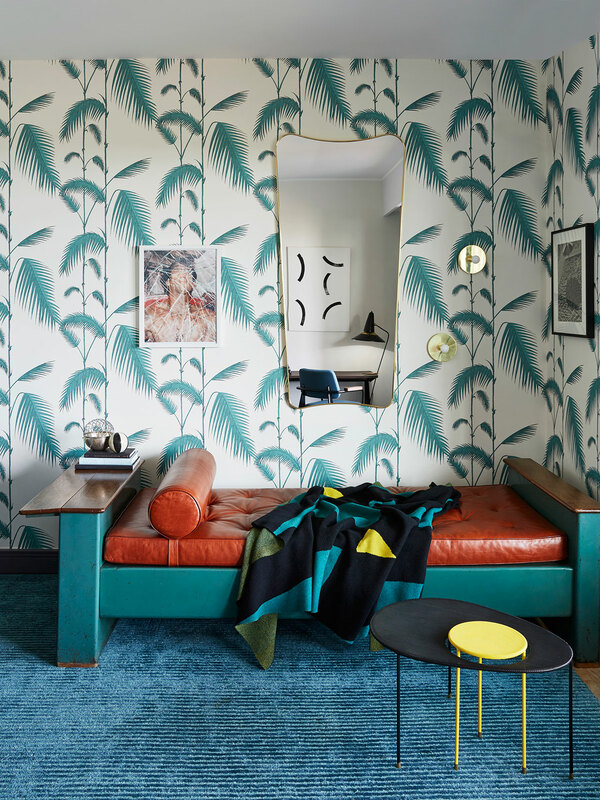 Setting the stage as soon as one enters the apartment, the designers display Slim Aarons' iconic and heavily pigmented work, Gossip Pool, over an intense peacock-green and purple floral wallpaper by Matthew Williamson for Osborne & Little. 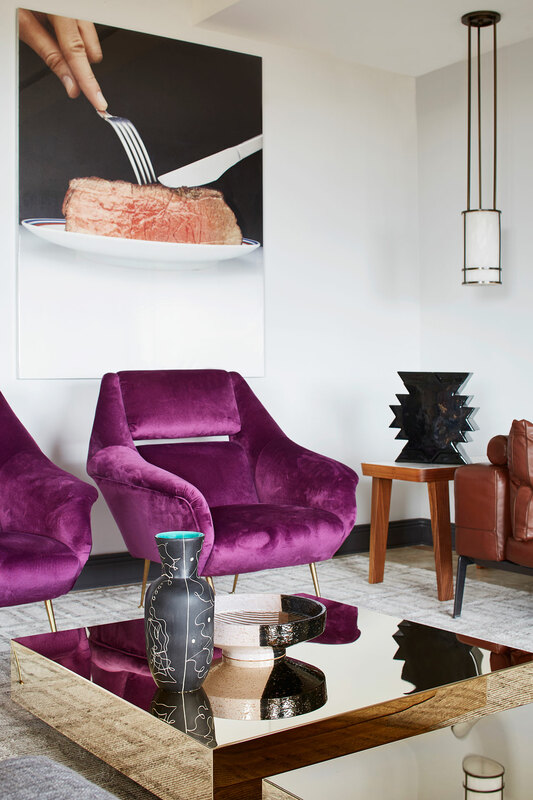 The caramel-veined, polished marble floor leads into the elegantly appointed, 60 square meter living room where once again modern meets the iconic; this time in the form of the leather Flexform sofa, mid-century Italian chairs - upholstered in an eye-catching purple velvet - and polished brass, coffee table. 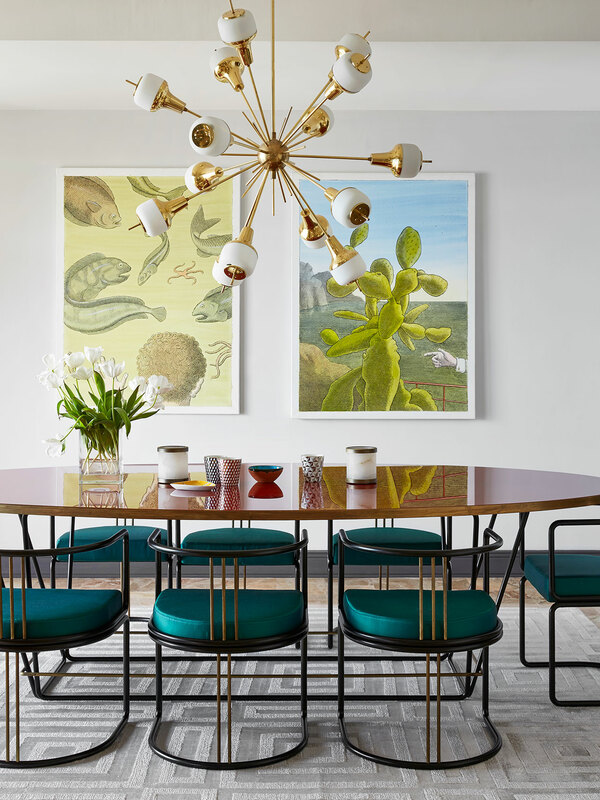 In the dining room, the quirky playfulness of Fedele Papagni's Sputnik chandelier and Pierre de Tan's cartoony artworks sere to offset the elegant drama of Dimore Gallery's table and chair suite. 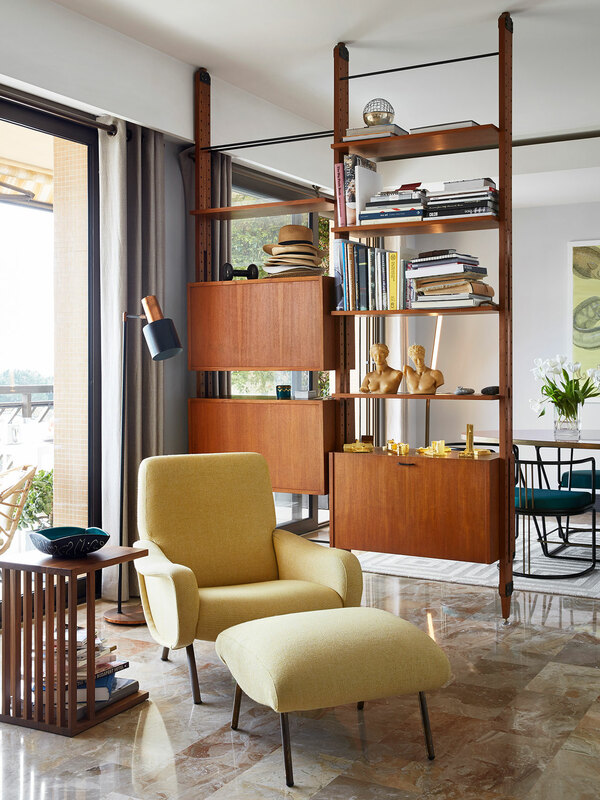 Meanwhile, the 1960's era, acajou wood bookshelf from Italy serves as the perfect divider separating this space from the designated library area, creating a cozy little nook for respite and catching up on ones reading on Marco Zanusso's Lady Chair, which is upholstered in a bright splash of buttercup yellow silk. 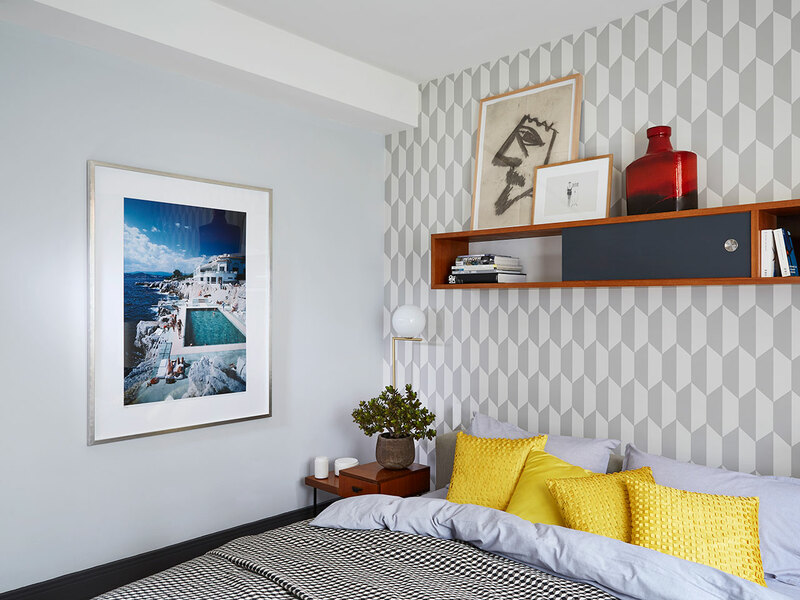 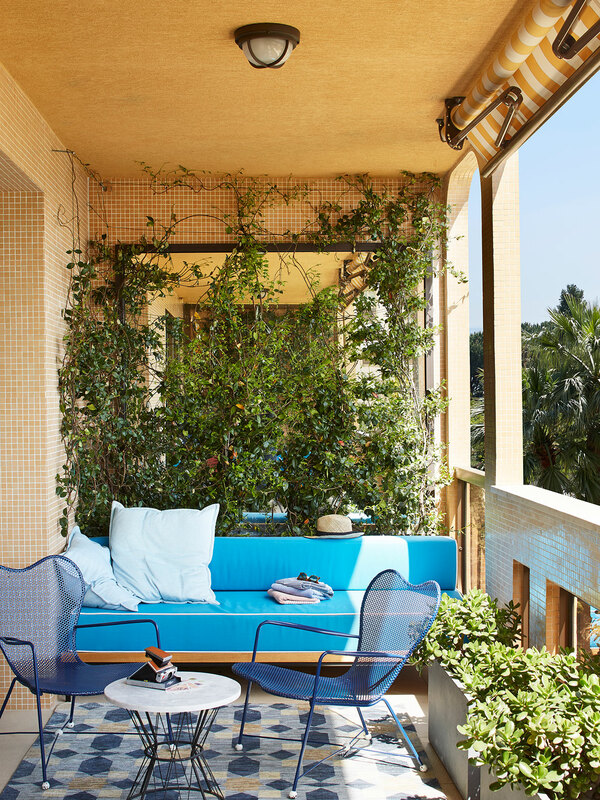 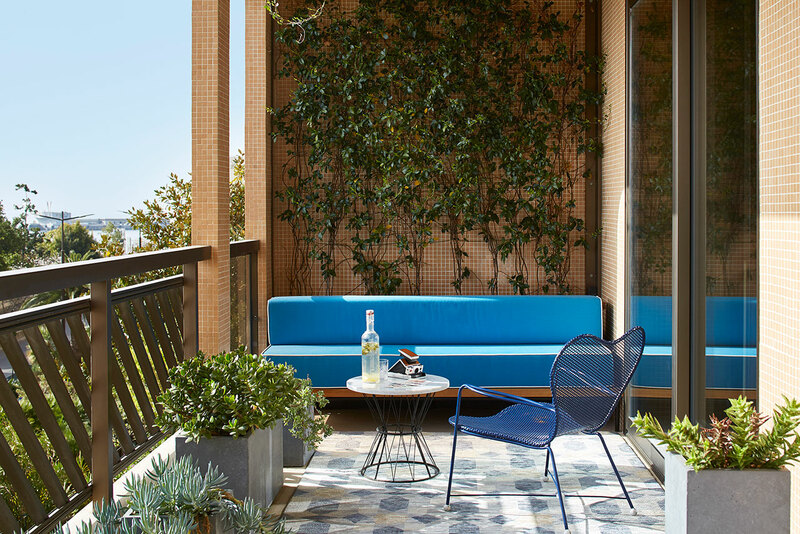 Colors pop in other unexpected places around the apartment too, such as on the turquoise blue upholstered benches by H&P on the one, sunny terrace - which overlooks the covetable view-- and the bright yellow pillows in the guest bedroom. 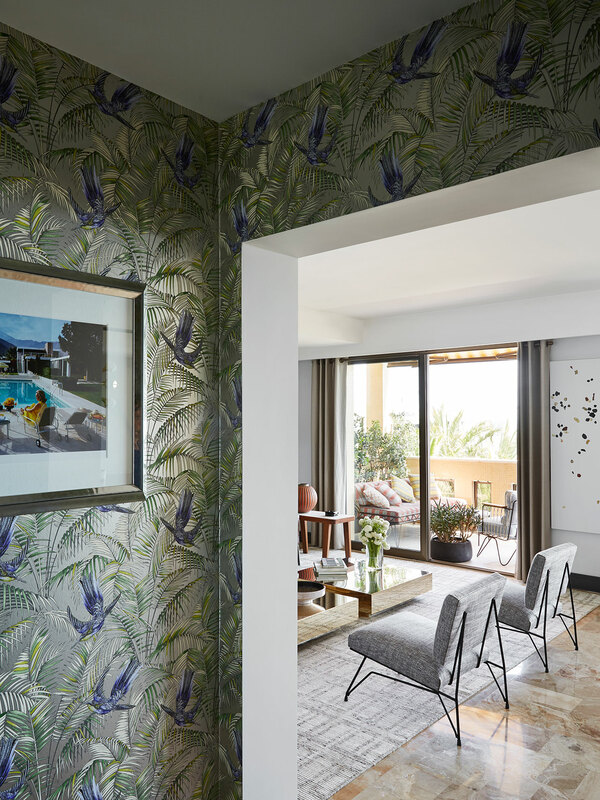 The latter bears showcases yet another of Slim Aarons’ famous images, his 1976 photograph of Eden Roc; almost as if the designers wanted to remind the apartment’s residents and guests of their design inspirations which so gracefully run through and tie the apartment's aesthetics together. 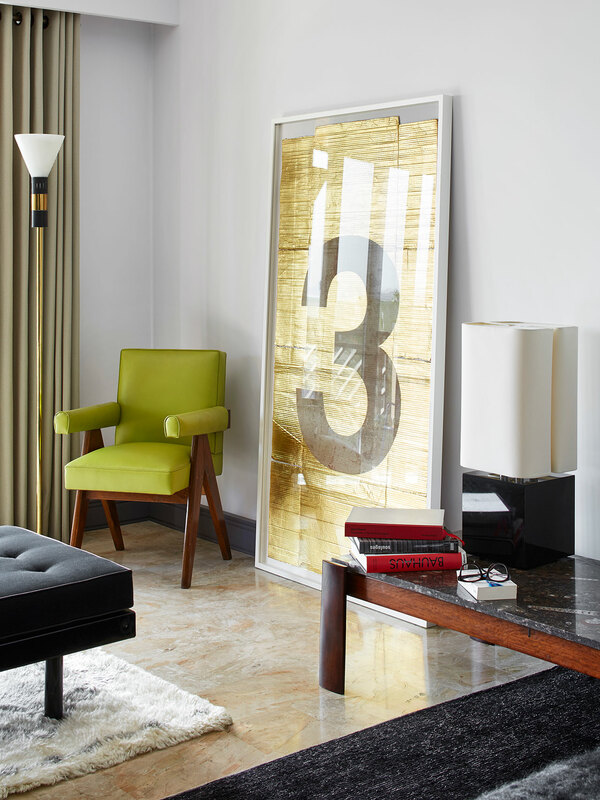 In short, the apartment's title, Grace, couldn't be a more apt moniker. 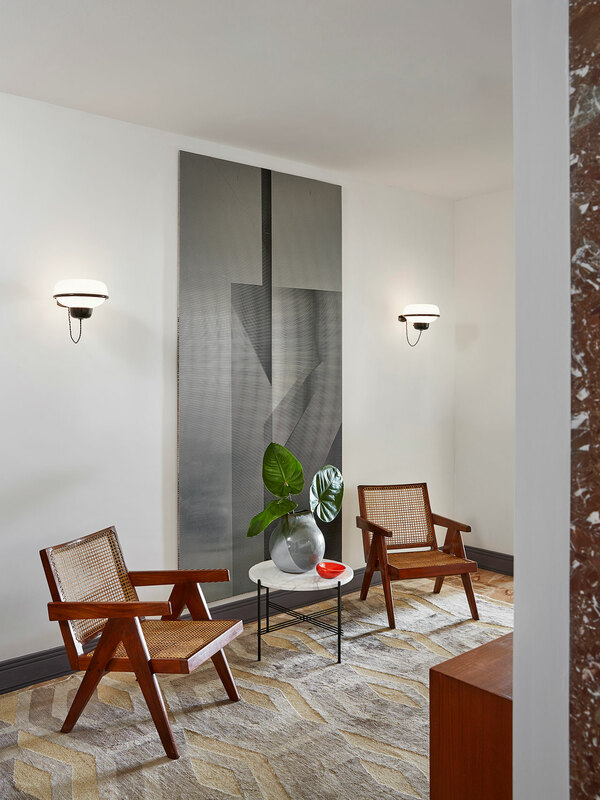 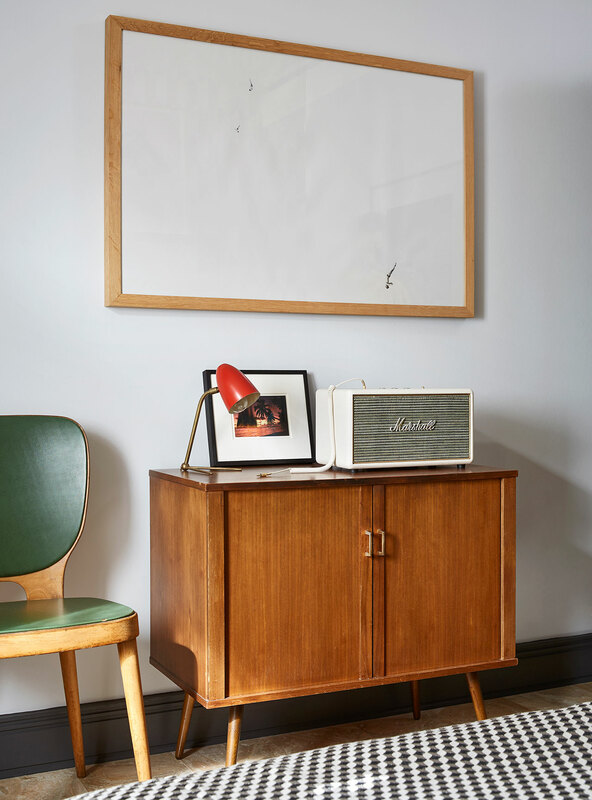 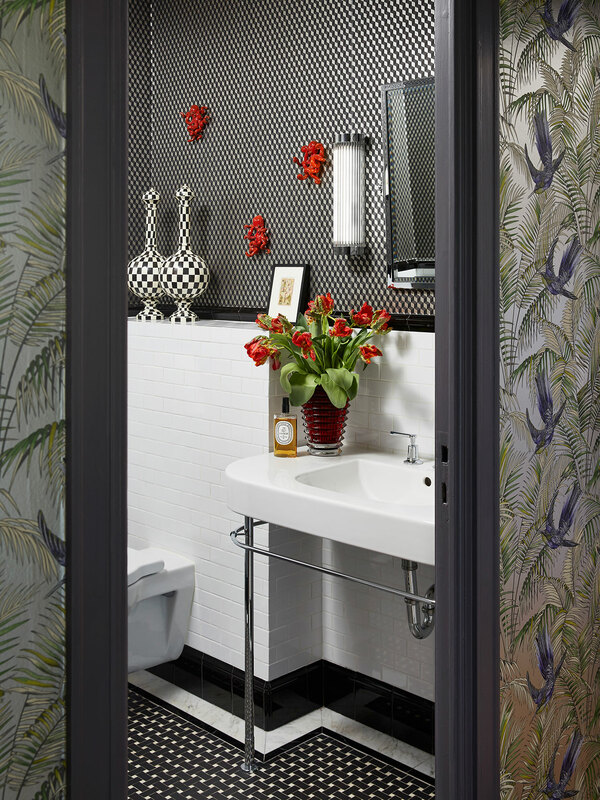 For it is a refined yet heady mix of styles, all of which have been masterfully blended by exacting eyes to exude a quiet charisma that welcomes and relaxes, yet also enthuses and inspires.